As someone who has never tried Korean food, the prospect of visiting a restaurant who specialise in Korea’s national dish was very exciting for me. 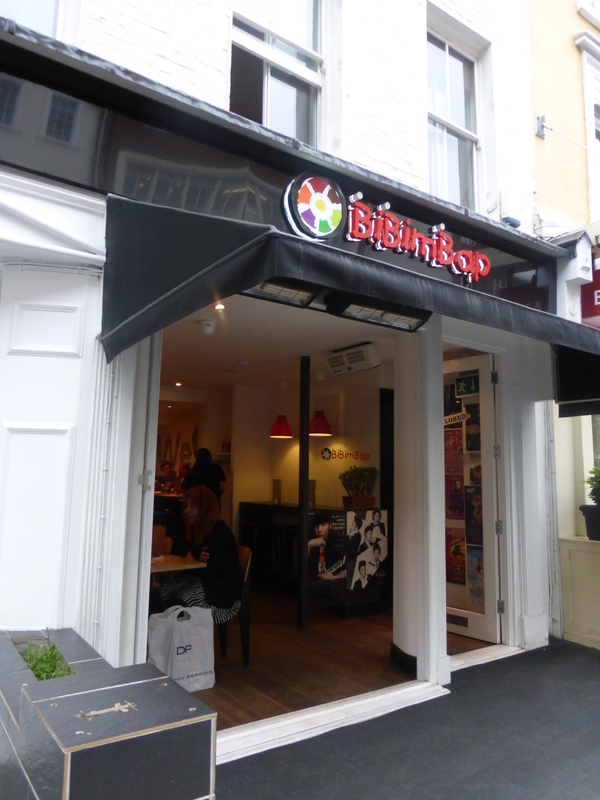 Bibimbap is located on Charlotte Street (they also have a Soho branch) about 5 minutes from Goodge street station, around other restaurants which belong to big chains however Bibimbap appeared to be constantly attracting people who perhaps had never been there before but liked the look of the place, the look of the food and the delicious smells luring them in. Bibimbap is a small place but was packed but there appeared to be short waiting times. 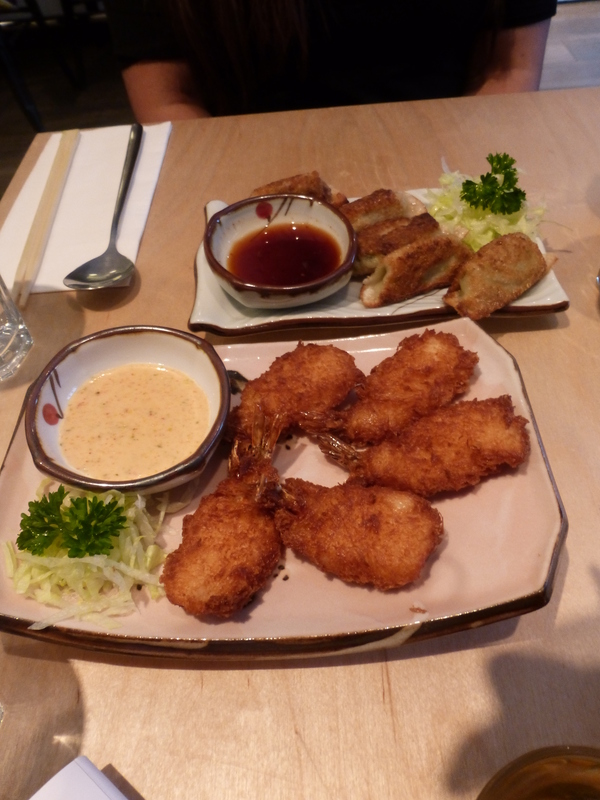 Rita and I shared these and preferred the Chives Mandoo to the prawns. The prawns were crunchy, fresh and coated in breadcrumbs. The Mandoo were fried, delicate dumplings. They were tangy, tasty, melt in your mouth but not too oily at the same time. However both were delicious. 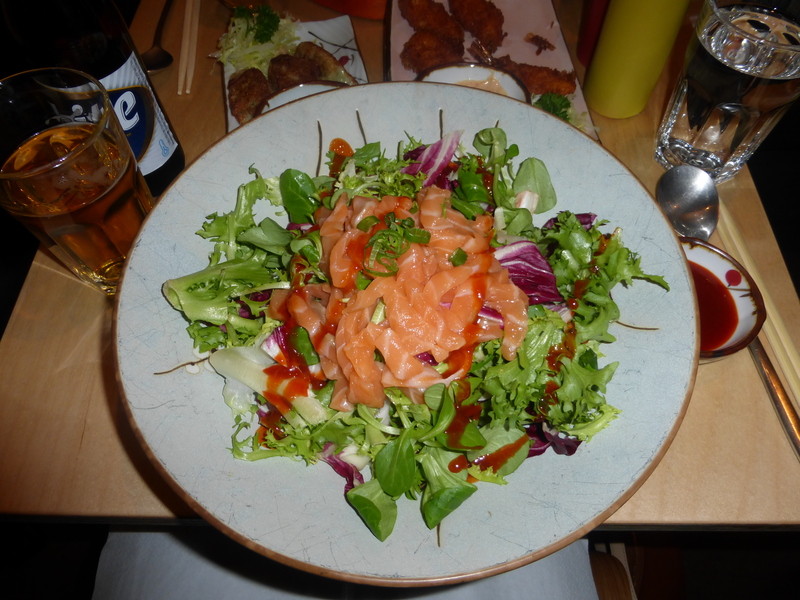 For our mains Rita had the Salmon Salad. This was a conscious nutritious choice and what a choice it was! This was not just a salad. The dish was served in a huge bowl with layers of salmon, salad, noodles, rice, carrots, peppers and wilted spinach which you then mixed up. All the ingredients were fresh, filling, well-seasoned and every mouthful was as delicious as the last. 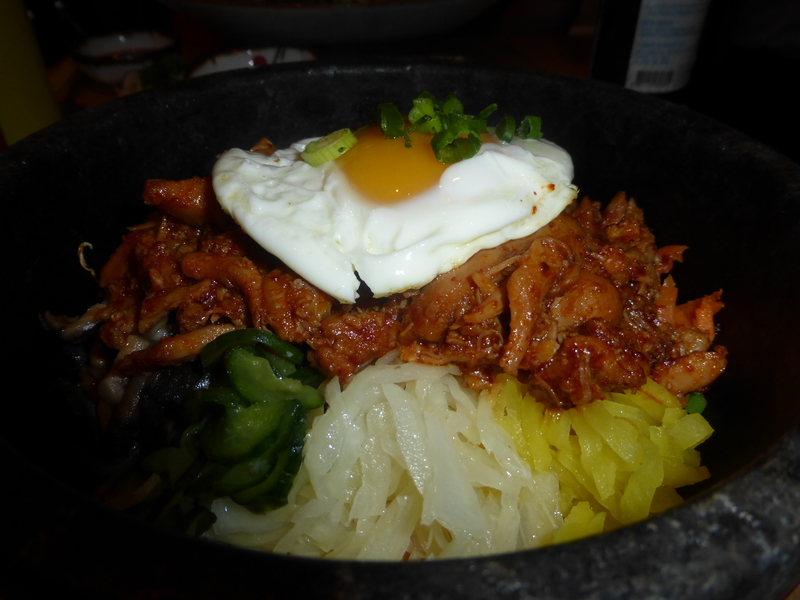 I had the Chilli Chicken Bibimbap which was like a hot pot and was served in a hot bowl and on a hot dish. The dish lived up to its name was hot, spicy, more-ish and again very well-seasoned. Traditionally the dish is served with a fried egg, which I opted for and that added to the complexity of the dish and its flavours. 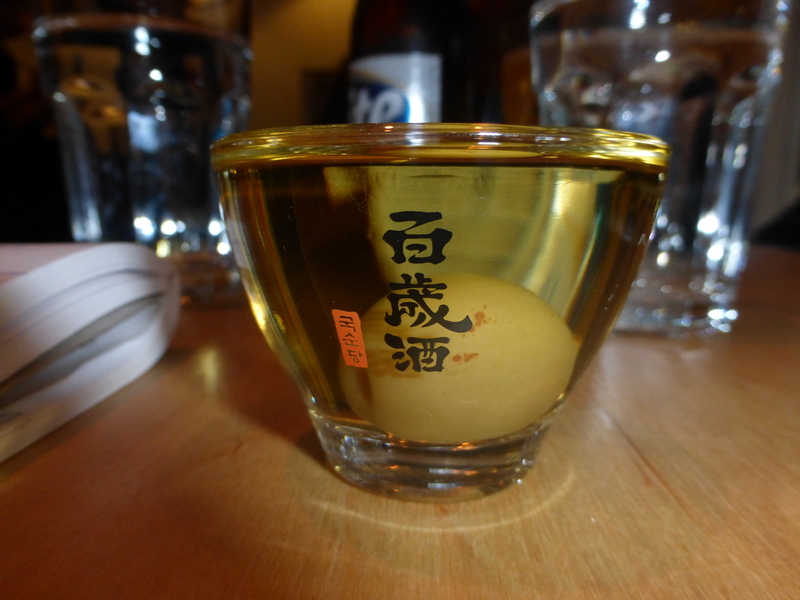 For our drinks I opted for the Korean plum wine (Seul Joung Mae) which was strong yet sweet and served in what looked almost like a shot glass with a little plum at the bottom and Rita went for a Korean Beer (Hite) which was light and tasty! Overall we had a really great meal at bibimbap, you could tell it was a popular choice with passers-by and in the winter the Bibimbap hotpots are going to be a sure fire winner! For a great tasty, value for money, well presented and delicious meal Bibimbap is a must visit!